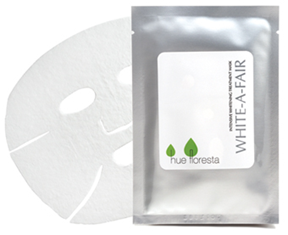 Whiten your skin, inside and out. This exclusive formula contains the revolutionary purified Soy Yogurt Filtrate that works deep within the basal layers of skin to inhibit the production and transfer of melanin. Leaves skin hydrated and firm. Apply on clean face. Press down well on edges of mask. Relax for 15 minutes or more. Remove the mask. Lightly pat dry your face with fingertips. Do not rinse. Use twice a week.